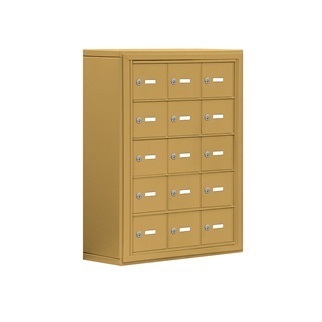 Cell phone lockers from USA Building Supplies protect cell phones, e-readers, IPAD’s, keys, cameras and other small valuables at gyms, health club locker rooms, public pools, and government vicinities. This cell phone locker features 15 occupant doors. 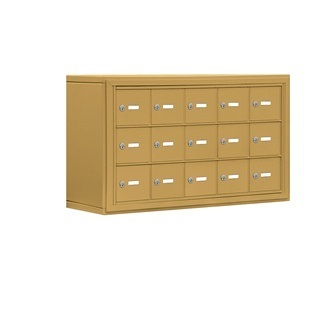 These cell phone lockers are available in surface or recessed mount depending on your building wall layout. 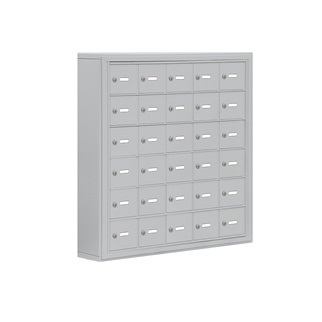 Surface mounted lockers are installed on a wall, ceiling or flat surface while recessed mounts are secured on a rough opening with hardware. 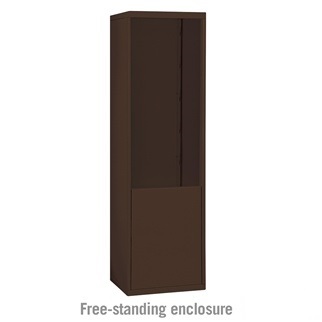 Choose from a wide selection of finishes including aluminum, bronze, gold, and sandstone. All of the material finishes resist rust, vandalism and other wear, providing a long-lasting electronic device storage solution. 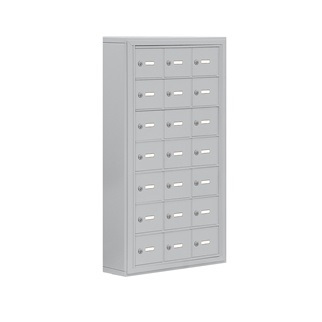 For maximum security of your electronic devices, order our 15 occupant door cell phone cabinets. Cell phone cabinets can be ordered in custom configurations. (+$130.00) Combination locks are resettable and are ideal for environments when visitors change from time to time. 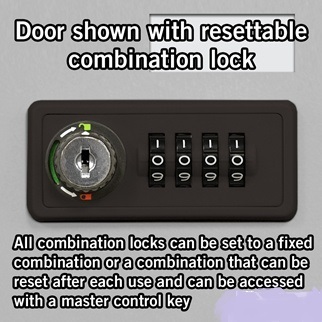 Combination locks also provide keyless entry into guest doors. 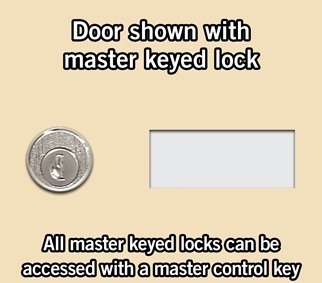 A master key also allows entry for a owner or supervisor to any of the door compartments. (+$70.00) Custom engraved doors are engraved by the factory as you direct them to do so. Custom engraved doors enhance the appearance of your cell phone locker. The engraved characters will appear on the doors as a silver color because the cell phone cabinet is constructed from aluminum. (+$40.00) Custom engraved placards are another form of door id that is a self-adhesive placard that measures 2"W x 0.625"H x 0.25"D that can be engraved as you direct. (+$70.00) Custom black filled engraving is a decorative door id option which the engraved characters on the doors will appear in black. Black filled engraving door id option allows you to choose how you would like each door engraved and enhances the overall appearance of your cell phone locker. Shop our full selection of high quality electronic device storage units for maximum protection for cell phones, laptops, and more.